p1, p2, p3, or p4 to set the priority level of a task. Frankly, the one I use the most is [SHIFT]+T which helps user to switch tabs (opens and closes). And the one which is more valuable is [SHIFT] +A, this basically helps user to add a particular task directly into the inbox, created. 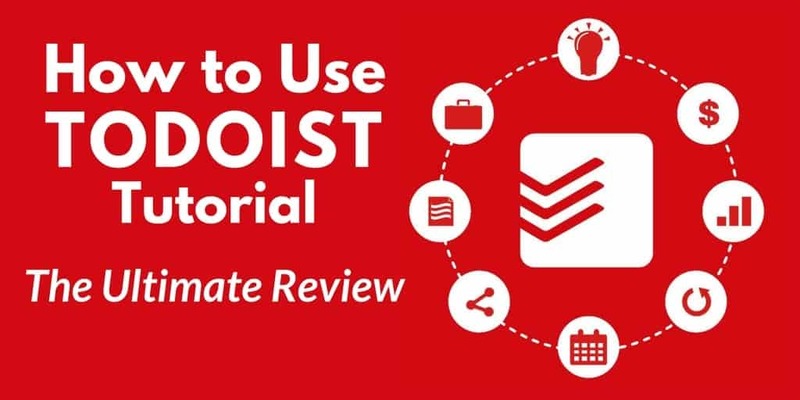 Todoist allows you to-do daily mini reviews and it does not usually takes more than ten minutes but DAILY MINI REVIEWS will keep the user on top of all the things user has to get done. In addition Todoist also permits the user to get his/her email address connected to Todoist’s App so user does not have to copy-paste any text or data. Unambiguously, user can filter-out the emails he/she would like to keep it on-the-go WITHOUT copy past and wasting time. Furthermore, most of the time when I am using my cell phone, I mostly do a quick scan just to see what I have to do next on my tasks list and that again is very convenient as by inserting a verb, related to your task that will immediately pop up and take you to that particular *task*. Besides that, users can highlight his/her tasks (of daily basis) by utilizing a DIFFERENT TIME DIFFERENT COLOR tool which means user can mark a flag (orange, yellow, white) on a task according to its priority. Furthermore, users may filter out their AM or PM tasks for the day. And astonishing part about this app is, just in case if you accidently deleted a task, user does not have to start from the scratch. Let me reveal the secret tool which is NOT used by most of its users. Simply click the gear icon, settings, and then click backups. Download the backup you need. This will be a Zip folder which accommodates a CSV (Comma-separated values) file for each of the user’s current project. Lastly, IFTTT (IF THIS THEN THAT) Notes app for quick entry can be really convenient this permits user to add tasks on-the-go on DO’s app and it will automatically appears in Todoist’s app, as well. Alongside with all of this, there are probably more tricks, tips, and features out there that most users can happily use and be more productive on daily- basis.